If your computer is connected to a local network (LAN) and want to chat with other connected users on Ubuntu, I recommend that you use Iptux which is an IP messenger client that runs under Linux. Iptux is configured to auto detect clients connected to your local network via a router. It also allows to send messages to other clients as well as sending and sharing files with them. Iptux only runs on LAN, not configured to work online. To start it, open Applications > Internet > iptux. Iptux will auto detect users connected to your local network. 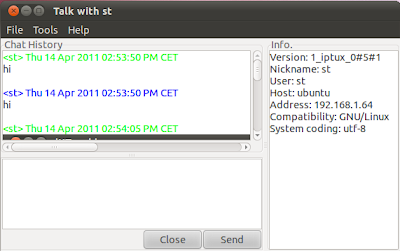 To chat with a user, double-click its IP address. To send files on LAN, open File >> Attach File. 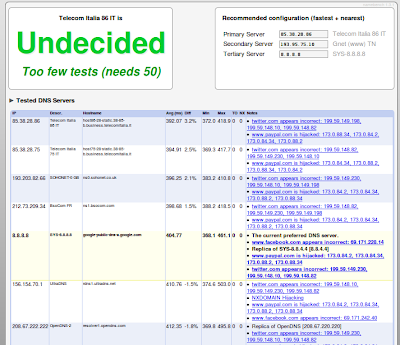 After saerching the web for a tool for Ubuntu to test DNS servers, I have found Namebench. 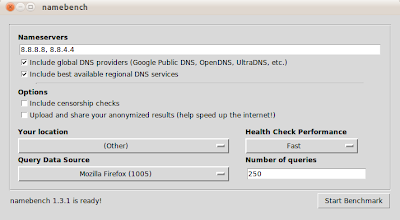 This tool allows via a graphical user interface to perform tests that will help you decide which DNS servers work best and fast for our Internet connection. Namebench is a cross-platform application that can be run under Mac OS X, Windows and GNU/Linux. In this tutorial, we will show you how to install Namebench on Ubuntu. 4. In the window that pops up, submit name servers separated by a comma, then click Start Benchmark to start your test. A VPN network (Virtual Private Network) allows to send data between two computers either across a public or shared network, which is a perfect solution for establishing long-distance or secured network connections. In this tutorial we will see how to easily create a VPN network under a system running Ubuntu 11.10/11.04. 3. At the bottom of the file, you will find recommended settings for both localip and remoteip. 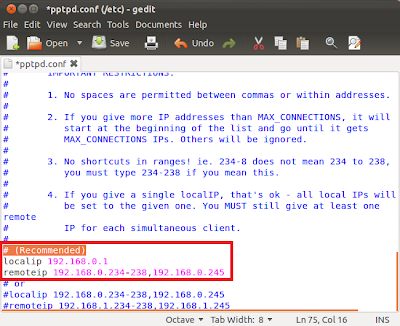 Uncomment localip andremoteip, then configure your IP address range for remoteip if needed. remoteip contains the IP address range allowed for users to use when connecting through VPN to your server. When you finish your configuration, save the file and close it. Note: "password" is the password that the user will use to connect to the VPN network. In this tutorial we will see how to use the terminal to quickly convert files having the .nrg extension to iso. The .nrg extension is derived from the Nero AG company and used by Nero Burning ROM to create and burn CD images. Replace "image.nrg" with the name of your file. "output.iso" is the name of the iso file that will be created in the current folder, you can rename it to whatever you want.